LOOKING TO HIRE & STAFF MODELS FOR ACE HARDWARE SPRING COONVENTION & EXHIBITS? The TSM Agency Las Vegas is here to help you staff your trade show booth with energetic, outgoing, and experienced models that can perform flawless product demonstrations and promote your product in a friendly, professional manner. The Ace Hardware Spring Convention & Exhibits is a four-day event held in Las Vegas, Nevada, that conjoins Ace Hardware employees of every level, as well as essential vendors and suppliers in one place. This spectacular event allows you to share ideas, discuss new products that are on the market, speculate about new and upcoming products, and set your future purchasing plans in motion. The Ace Hardware Spring Convention & Exhibits also gives you a chance to expand your network, meet new people, and engage in training sessions to further your skill and knowledge bases. 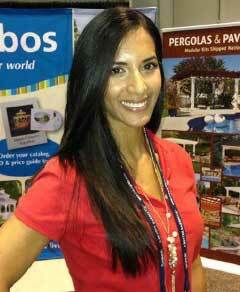 Are You in Need of Promo Models & Booth Staff for the upcoming Ace Hardware Spring Convention & Exhibits? We have models for hire! Here at the TSM Agency we have been successfully staffing the Ace Hardware Spring Convention & Exhibits for many years. With Ace Hardware store owners, managers, associates, vendors, and suppliers all under one roof, it is crucial to have your booth fully staffed and running smoothly. The TSM Agency can staff your booth with professional local Las Vegas promo models and spokes models that possess years of experience in promoting and demonstrating hardware products. Networking is a key aspect of this business industry and we have booth staff that can quickly help you expand your network and build your business. Best of all, all of our promo models and booth staff are locals from Las Vegas, reducing your out of pocket costs, reducing transportation hassles, and they possess a knowledge of the local area. You could bring your own staff along with you to staff your booth. They may be experienced in selling your products in the store, but are they experienced in networking and exhibitions? Plus, if they come with you, who is manning your Ace Hardware store? Hiring experienced brand ambassadors that can promote your products and ideas in a professional and experienced manner can make all the difference. These good-lookingLas Vegas trade show models will attract more traffic to your booth, answer questions, and get your brand out there. Whatever booth tasks you need, they are eager to help you. These promotional models will ensure that your booth runs smoothly and successfully. Las Vegas is a city whose name is well-known around the world. Conventions, exhibits, and trade shows around the world are held in this city that has fun and excitement 24 hours a day. Many are drawn to this city for its bright lights, exciting night life, and the thrill of the casinos. For this reason, Las Vegas has become a popular host for the most successful trade show events. If you have the chance to come to Las Vegas for the Ace Hardware Spring Convention & Exhibits, there is much for you to do before and after the show. Are you an experienced trade show booth model? Do you have what it takes to become a promotional model? TSM Agency is continuously expanding its roster of impressive talent. If you have the charm, charisma, friendly and outgoing personality, and can talk with ease about different brands and products, then being a spokesmodel is the job for you! Get in touch with TSM Agency today. Hiring a Las Vegas brand ambassadors and booth staff will make a world of difference for your booth and actually save you money. Not only are our models able to draw a larger crowd to your booth and get the word out about your products, we also offer translator services and multi-lingual models that will expand your customer base a step farther. By hiring local booth staff, you will save on transportation and flight costs, hotel fees, meals, and more. Be prepared this year and hire professional, local promotional models.